US Sen. Cory Booker is accused of pocketing Big Pharma cash, then voting to forbid desperate Americans from buying cheaper lifesaving drugs from Canada. As detailed by Richard Eskow (link), Booker is a hypocrite who betrayed endangered Americans needing medical relief. Sure professed progressive Democrat Booker voted down the Bernie Sanders / Amy Klobuchar budget amendment to allow prescription drugs from Canada for millions of America's desperately ill.
Those worst-off won't vote again, and most others will soon forget. Booker is a looker with his eyes on the White House. 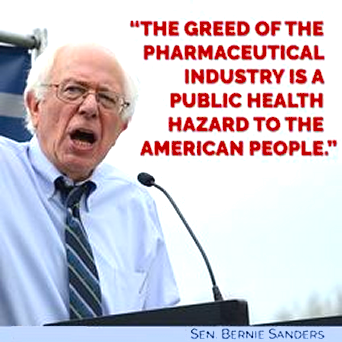 Big Pharma can help him gain entry.